Let Me Go On &; On...: Oh, It's Not Your Fault! Today was a sad day for kids all over the U.S. and around the world. Ronald McDonald, owner and CEO of McDonald’s Food Corporation has been arrested for enabling people to overeat; therefore making them obese. They start off at early childhood and well into their teen years. Why do you think they have an indoor playground inside their restaurant? They encourage the children to be active and participate in their ‘children’s gym’. What about us adults? They don’t provide these gyms for us where we can work off the excess greasy fries and Big Macs that we just inhaled along with our diet cokes. 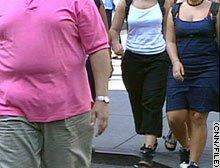 Studies show that Americans are getting fatter and fatter every year. Now fast foods have the option of ‘biggie fries’ and larger burgers that is equivalent to half a cow! Have we gone insane people? Or are our choices in food to blame? The best is when you’re eating dinner, and a commercial for a diet pill comes on. No, bulging midsections is definitely not our fault! It can’t be the double cheeseburgers and extra fries with a large milk shake that makes us chubby! What really gets me are those news reporters talking about overweight Americans. They have the nerve to go on the streets with their cameras and film obese people walking by without their knowledge, but they cut out the head shot. What if this was your brother, sister or mother for that matter? This post is not true, Ronald McDonald has not been arrested and he is still in business, so by all means, please enjoy a delicious Big Mac at your own risk.